What would it be like to live in a Society and not an Economy? Did you know that in California prisoners can pay for a cell upgrade ($82 per night)? Or that you can pay for the right to shoot an endangered Black Rhino in South Africa ($150,000) and Walruses in Canada? 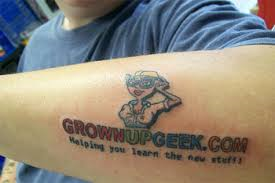 Did you know that some companies will pay you to tattoo yourself (permanently) with their Logo? Or that you can buy the Life Insurance policy of an ill person while they are still alive and then collect payment upon their death? At first sight, the question in the title of this Blog might seem strange. Clearly, a modern Society needs an Economy to prosper and a modern Economy needs a stable Society to function. But which is ultimately more important as we think about how to build a progressive country in the Twenty-First Century? Which should be at the front of our minds as we think about the purpose of politics, for example? It can be argued that, since the end of the Cold War, and in the absence of the old ideological fault-lines, Free Market Capitalism and the neo-liberal worldview which underpins it are completely dominant. After all, in the infamous words of the political scientist Francis Fukuyama, haven’t we reached the End of History anyway? And yet, through this way of looking at life, moral decisions about what constitutes Goodness have been downgraded in favour of Market Efficiency. It has become increasingly possible to consider the impact of business decisions on the workforce, community or the environment as superfluous. It is the size of the shareholder dividend which really matters. Taken to its logical conclusion, in the paradigm of the Market Society, politics becomes a process which is simply about the most effective management of the Economy. The winner of the electoral process should be the Political Party which can promise and then produce the best economic results for the largest number of people. The only thing we need to (or even can) agree on is that we all want to be more materially-wealthy, whilst agreement about what constitutes Public morality and social capital become increasingly rare. As political ideology has narrowed toward the centre-right over the last 30 years, the range of the political discourse has narrowed along with it. And yet the question still remains: How will we live together? And something seems to be changing. In the last seven years since the financial crash, we have seen the unchallenged dominance of neo-liberalism and the idea that the Market Knows Best increasingly called into question. Whether in academic journals, the Bank of England and Federal Reserve or the Occupy Movement, more and more people are asking if our primary identity really should be HomoEconomicus after all. Meanwhile, the – often brutal – rise of Islamic extremism across the world has seen the pursuit of a worldview which seems to be primarily-rooted in an idea of what a Society should look like, with relatively little reference to economic structures at all. Whilst the West continues to move towards the ultimate commercialisation of everything – including social Goods like education, healthcare and policing – ISIS and their allies fight from and for a worldview that has very clear ideas of how Society should be structured. It seems like we may have a window of opportunity to ask anew what Goodness is, to publicly articulate our answer to the question and ultimately even to change the way that we organise our society. In this space, we could do worse than return to the Christian teaching on the Common Good, such as that found in Catholic Social Teaching. And what is the Common Good? The best description that I have found comes from one of the supporting documents to Vatican II – “The Common Good is a vision of the social order which is founded on Truth, built by Justice and animated by Love”. We could do worse than start with this as we seek to build a progressive society. Thanks for this…lovely to see a recognition that the word economy comes from ‘Oikos Nomia’ which means to manage the house. Christ most certainly referred to such management in the Parable of the Prodigal Son which compared the economic system of the Romans (Patron/Client-how the son exploits others when he is rich and lives like an elite, and is then exploited when he has no money and is starving) to the economy of the Ancient Jewish tribes (Reciprocal-how the son is treated when he returns to the household with nothing but the rags he is in. ie. given clothes and food). The reciprocal economy of the Ancient Jewish tribes was usually balanced and a person with wheat would swap some for a portion of meat (no money used). In times of famine generalised reciprocity would be used where people who had, gave to those whose harvests had failed, so that everyone had enough to subsist. Jesus referred to this in Luke 6:38…‘give and it will be given to you, a full measure pressed down and shaken’. ie. When you give to those in need, when you are in need you will be given to. Notice the generosity…full measure, shaken and pressed down. Are we generous to those in need, do those who have give to those who do not, or is Labour backing the shadow minister Rachel Reeves line to ‘be tougher’ than the Conservatives with regards to welfare and benefits to cut a deficit that could and should be paid off by the banks? The policy of returning the 50p Tax rate for those earning over £150,000 totally fails to acknowledge that the average wage is £26,000 and the higher rate tax starts at around £42,000. Most British people would see £42,000 as a rather high wage. Why are Labour so scared to be totally fair in applying taxation, surely we believe quality public services are worth it? Labour desires to tax Bankers bonuses but once again this is likely to be a one off. What is the point, it will only pay for the NHS for 1 year and if it is put in place for longer bankers will just take bonuses as salary or in kind instead. Whats wrong with a Tobin Tax of 3 to 5%…..this would get rid of the deficit fairly quickly and would not hurt the banks that much. I think Labour is tinkering round the edges, in terms of benefits there will be not a lot of ‘good news for the poor’ nor will there will there be the unshackling of the unions and return of legal aid so that the workplace ‘oppressed can be set free’. The Labour Party is trying to position itself in the centre, which considering how right wing the tories are is probably on the blue side of politics. People want to see clear blue water between Labour and Tory and being a supposed left wing party it seems most inappropriate for Labour to position themselves in the centre. I hope your feelings are correct, David, but having been here before just before Blair (‘Mr PFI, I will renationalise the railways and won’t introduce tuition fees’….note I did not mention Iraq-whoops) was voted in, I won’t hold my breath. I can’t answer that one definitively I’m afraid Martin… But my feeling is that in government Labour will be very significantly more disposed to redistribution through the tax system than the Conservatives. A progressive society needs a progressive tax system. Will Labour provide?